This is an adorable little Haeger flowerpot! Pot and drip saucer are a lovely shade of green and have a shiny glaze. Pot sets in the saucer – they are not attached and never were – both are glazed and bottom of pot has Haeger (difficult to see but is there). Pot measures 3 3/8” tall, 3 1/4” diameter. 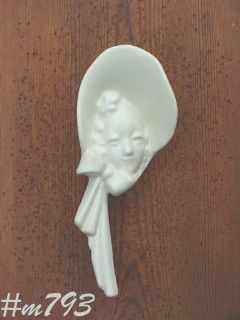 The saucer is 3/4” tall, 3 1/2” diameter and is marked Haeger, 185, USA. BEAUTIFUL ROYAL HAEGER VASE! 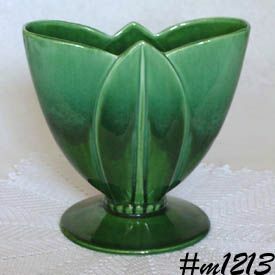 IT'S A LIGHTER GREEN COLOR AT TOP THAT SHADES TO A DARK GREEN BASE AND HAS AN ALL-OVER SHINY GLAZE. VASE HAS A FAN-LIKE, DECO SHAPE AND IS MARKED ON BOTTOM: ROYAL HAEGER, USA, RJ, 253. HAS NO EVIDENCE OF "USE" -- NO CHIPS, NO CRACKS! THIS IS A SUPER NICE VASE. 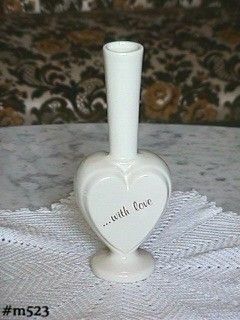 Beautiful Haeger bud vase, not your everyday find -- the bottom half is heart shaped and has " ...with love" in gold lettering! Vase measures 8" tall, is in beautiful white color with shiny glaze, and is marked on bottom: Haeger, USA. Vase is in mint condition! 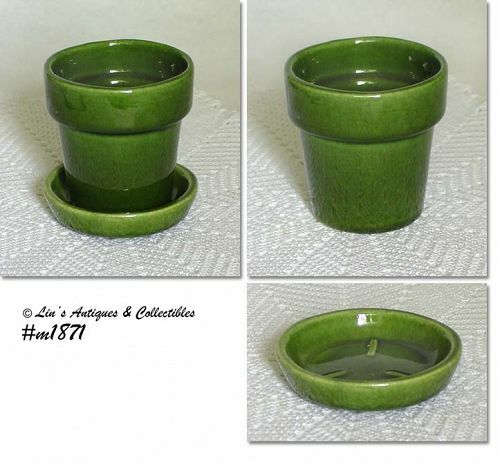 This listing has a beautiful Haeger Pottery dealer sign! Designed to set on/in a display, it measures 8 1/2" long, tallest letter is about 2 3/4". Sign is a beautiful deep gold color with some brown accents, stamped on bottom: Haeger, USA. 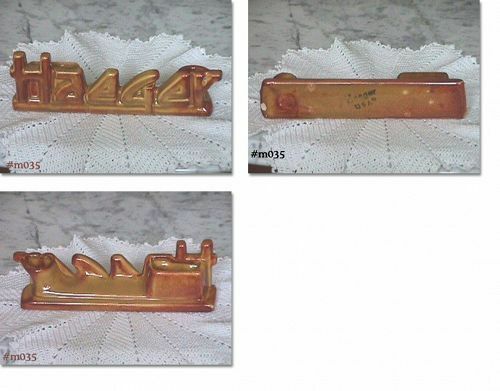 It is in wonderful condition with only "use" evidence being a small chip that measures 1/4" wide, 3/8" long on underneath (bottom) that is not visible when displayed.